Great looking 2015 Regal 2000 ESX with custom all welded aluminum trailer and only 88.9 hrs. This 20 footer will turn your head with its stylish design and maximized seating space and sporty Power tower. 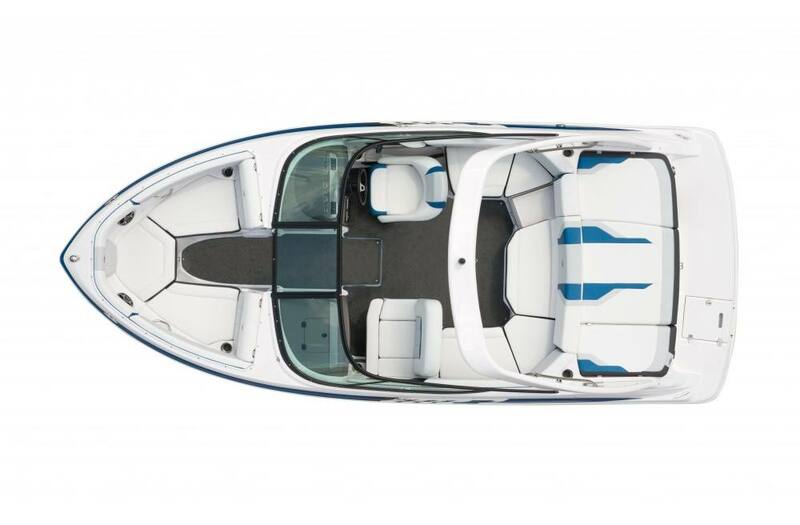 Also with Regals Fas Trac hull design you will be blown away by it performance and maneuverability and top speeds to 48mph. The Upgraded with a premium Fusion Stereo system with subwoofer, tower speakers and several cockpit speakers, snap in and out flooring, walk through divider, two cooler storage spaces, onboard battery charger with dual battery switch and much more! The Regal 2000, may be one of the smallest in Regal's lineup, but don't be fooled. There's nothing little about it. This boat was tailored to the family who wants to do it all on the water, while still being able to fit it into the budget and into the garage between weekends.